Founded in 2005 by Ray Bolvin, Providence Mechanical Services is dedicated to providing superior comfort systems and support. 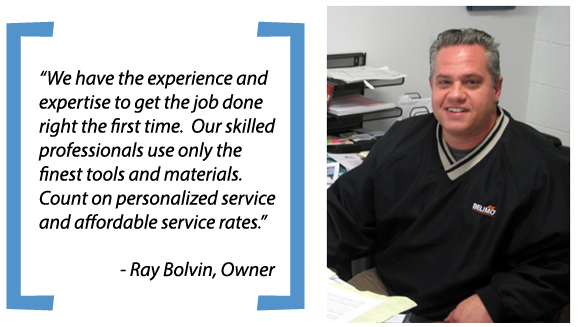 We're licensed in Rhode Island, Massachusetts and Connecticut and we are a member of the Better Business Bureau. 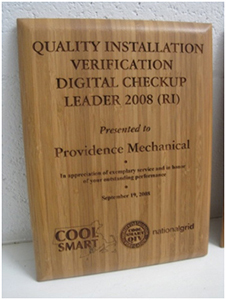 Recognized by National Grid and COOL SMART, Providence Mechanical Services is a certified ENERGY STAR© Quality Installer. That means we follow ENERGY STAR© Quality Installation Guidelines to ensure that you are not buying just a piece of equipment but a properly installed heating and cooling system that provides comfort and efficiency. From start to finish, our experienced estimators, project managers and technicians ensure your project is completed on time, on budget and up to code. We understand that service interruptions are an inconvenience and cost you productivity. We provide expedient services to get you back online as soon as possible without risking the safety of your valuable equipment. Upholding a commitment to safety, we provide ongoing education to our personnel to ensure complete compliance with the best practices and standards. Providence Mechanical Services goes beyond the heating and air conditioning equipment to look at the whole house or building as a system. This enables us to solve comfort, indoor air quality and high utility bill problems others can't, and ensure that your new high efficiency equipment performs as close as possible to its laboratory rating. Nothing is more important than giving back to the communities in which we live and work. Providence Mechanical Services is actively involved in many worthy causes including the Humane Society, Hannah & Friends, Friends of Zach Dauphinee Foundation, the Matthew Siravo Memorial Golf for Epilepsy, and the ASPCA and PETA. Servicing Smithfield, Providence, Warwick and Surrounding Area.